D2K Information Pty Ltd (D2K) specializes in water quality monitoring and the conversion of water quality data into valuable management information. D2K was founded in 2017 by Mr Daniel Drew, Dr Annette Davison and Mr Phil Krasnostein, who have over 100 years of collective experience in microbiology, chemistry and engineering in relation to water quality understanding and management. With products and services which are tailored to provide quality, consistency and client-focused outcomes, the company’s mission is to help its customers better understand and manage their water supply businesses by harnessing and making better use of water quality data. D2K has developed an innovative product suite known as QualitEye® and an elegant, advanced data management, analytics and visualisation package known as Information Engine™. QualitEye® is a modular and configurable family of products, with designed flexibility allowing monitoring of water quality at a number of targeted locations within the drinking water supply chain. The instrument comprises industry-recognised sensors, coupled with an advanced remote data communications system, which provides true ‘plug and play’ operation. QualitEye® ships with Information Engine™ Base (IE-Base). The IE-Base package turns data it receives from QualitEye® into user-relevant information. 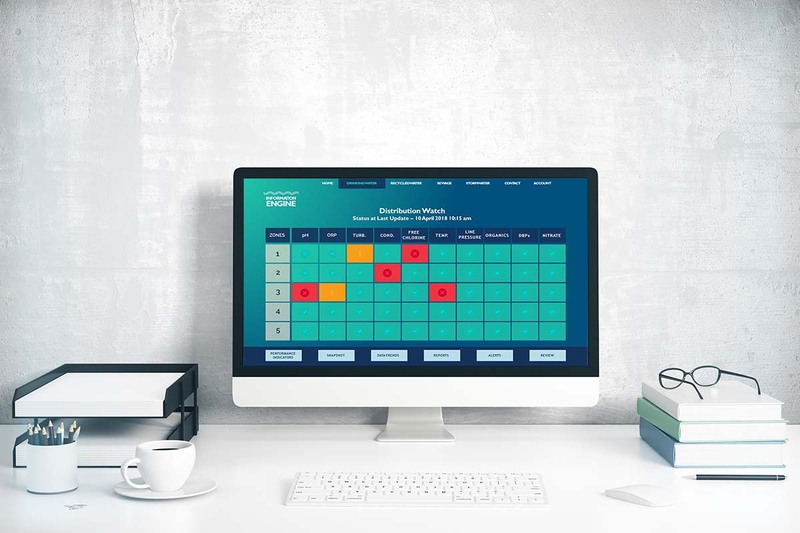 Information Engine’s interface has been designed with the user in mind – it is both informative and elegant, allowing ‘at a glance’ understanding of monitoring outcomes with ‘drill down’ screens for those users who want to see the underlying information. IE-Base provides the user with the information they need to make improved operational and risk management decisions. Together QualitEye® and Information Engine™ present a formidable new tool for water system managers at all levels.